On September 22, the UFC will return to the mixed martial arts hotbed of Sao Paulo, Brazil. 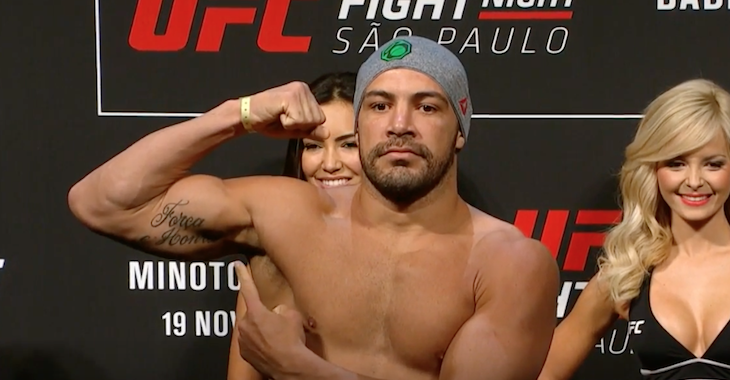 This UFC Sao Paulo card is coming together quickly. 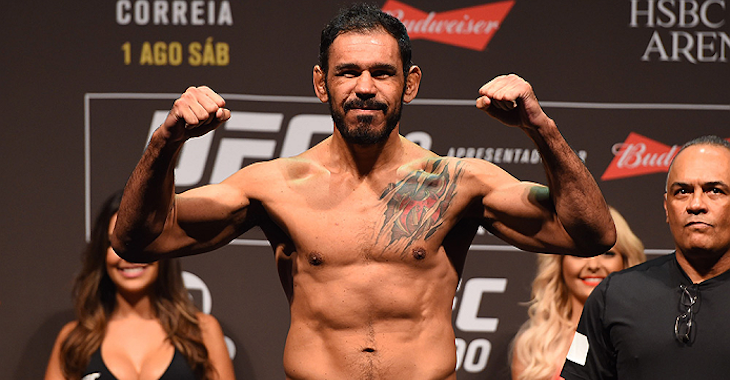 On Sunday, the promotion announced a trio of new bouts for this UFC Sao Paulo card, featuring a number of former MMA champions and title challengers. The first of these newly announced bouts will occur in the women’s bantamweight division where top contender Ketlen Vieira will take a high-risk fight with former Invicta champion and UFC featherweight title challenger Tonya Evinger. This bout was first reported by Nolan King of MMA Today. Vieira is a currently a perfect 10-0 overall. In her last fight, she bested former title challenger Cat Zingano by unanimous decision. This win was preceded by an impressive stoppage defeat of former title challenger Sara McMann. 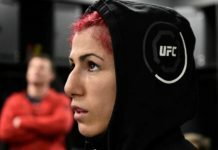 Evinger, meanwhile, has not fought since her UFC debut, when she succumbed to third-round punches from UFC featherweight champion Cris Cyborg. She’s 19-6 in sum. 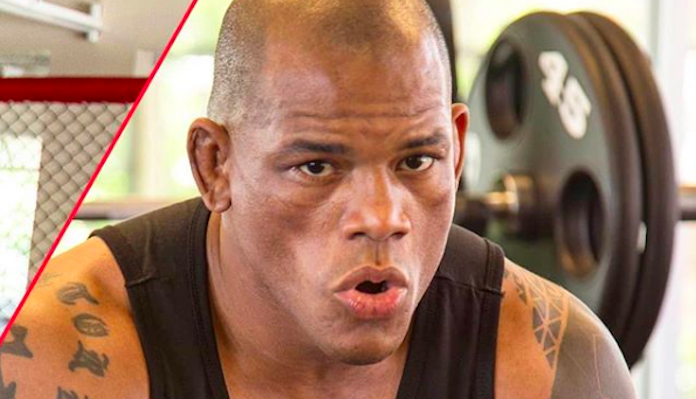 The second of these newly announced UFC Sao Paulo bouts will occur at middleweight, where former Bellator middleweight champion Hector Lombard will collide with former UFC middleweight title challenger Thales Leites. This bout was first reported by Combate. 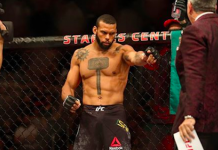 Lombard will enter this UFC Sao Paulo fight in a must-win situation, having lost his last five fights against Neil Magny, Dan Henderson, Johny Hendricks, Anthony Smith and CB Dollaway. It is worth noting, of course, that his loss to Dollaway was the result of a controversial DQ. Lombard is 34-9-1 overall. Leites, meanwhile, is on a two-fight skid, having recently lost to Jack Hermansson by TKO and Brad Tavares by decision. 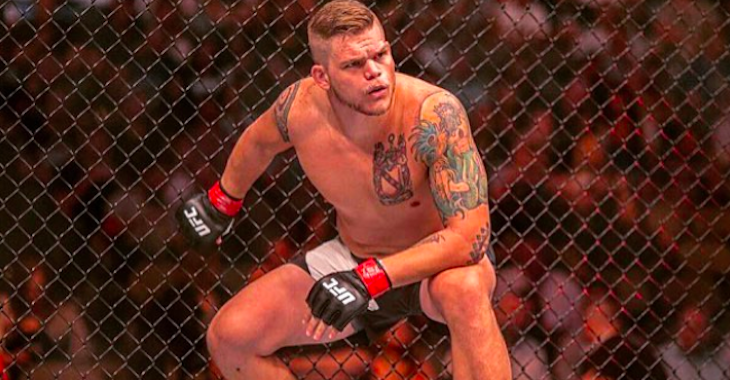 His last win occurred in April of 2017 when he defeated Sam Alvey by decision. He’s 27-9 overall. The third of these new UFC Sao Paulo bouts will occur at welterweight, where Ben Saunders is scheduled to meet Sergio Moraes. Saunders, 22-9-2 overall, last fought in June, when he scored a TKO win over Jake Ellenberger. In his next most recent fight, he was knocked out by Alan Jouban. Moraes, meanwhile, last fought in February when he picked up a razor close decision win over Tim Means. 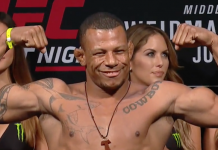 This win was preceded by a tough KO loss to surging contender Kamaru Usman. He’s 13-3-1 overall. Here’s the UFC Sao Paulo card as it stands (via MMA Fighting).